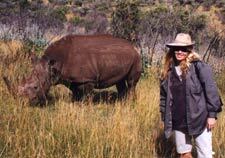 I have always loved the great outdoors and the infinite diversity of wildlife, and I travel and explore new places every chance I get. I strive to capture all the beauty that I find to share with others and perhaps inspire them to travel to these same wonderous places. I'm particularly fond of the vibrant colors of the tropics and the harsh rugged beauty of the American West. But beauty can be found all around you every day in a flower or a sunset, you just need to stop and notice. I've been shooting photographs for over 20 years. My college degree is in Computer Science, but my passion has always been photography. These days I can combine both to create unique new works of art. I was first able to get closer to my beloved animals when I volunteered at Miami Metro Zoo for several years, honing my photographic skills on the cooperative subjects there. That in part inspired me to take my passion for photography to the next level. I graduated from the New York Institute of Photography soon after. I was transferred to Colorado and the pictorial possibilities really overwhelmed me. My portfolio quadrupled in a couple of years and I was finally able to take some of my dream trips to Africa and Australia. Many friends started asking to purchase my photographs and thus my passion grew into a business. I also started taking portraits of my friends and their families and started getting more and more word of mouth referrals. I really enjoy the timeless beauty of black and white for portrait photographs. I've won some awards and have recently started creating colorized Black & White photographs and manipulating images digitally. The artistic opportunities these days are almost endless. I hope you enjoy visiting my site and that it will inspire you to travel some place new. Come back often, I take about 10 trips a year so there will always be something new to see.